gutta corrugated bitumen sheets are an easy-to-process, long-life and economical solution for roofing and wall covering. The sheets are available in four natural colours, particularly aging-resistant and are an eco-friendly, formaldehyde-free recycling-product. Our bitumen sheets have been in use world-wide for decades. Millions of installed gutta corrugated bitumen sheets sheets provide striking proof of its durability under all imaginable climatic conditions. The high maximum load exceeds the required official values. This results from the special multi-layer method and the fine corrugation. Quality is the basis for gutta corrugated bitumen sheets, which have been installed in the millions in past decades. In order to insure constant quality, gutta corrugated bitumen sheets are continuously checked and tested by the Materials Testing Institute of the Technical University of Karlsruhe which allows us to give a worldwide 15-year guarantee against leakage. The sheets are largely resistant to external influences such as industrial atmospheres, heat and frost. The strong stability of the sheets is to a large measure owed to the multi-layer design which allows light-weight substructure. 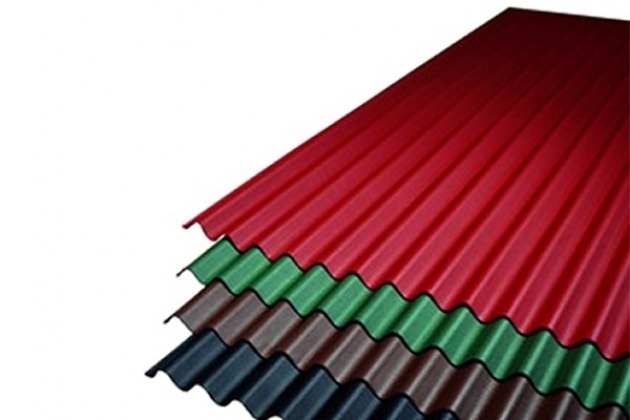 Corrugated bitumen sheets are also the perfect choice for modernising and refurbishing work because they adapt easily to different types of substructures. Watching a few basic tips will help you fix the corrugated bitumen sheets quickly and safely. What's important, for example, is a vapour-permeable sarking membrane to make sure the condensation water is collected. With these preparations done, use a saw, hammer and the gutta nails to fix the sheets easily and conveniently. It's best to fix the sheets facing the prevailing wind direction. Offset the joining cover by half a sheet width. Use the specially designed gutta nails to fix the guttanit corrugated bitumen sheets. Fix the sheets on every third peak, fix on every peak in the eaves or overlap zone. If the sheets are not used for roofing but for wall cladding, make sure to fix the sheets at a sufficient distance from ground or floor.